New graduates of Menri Monastery’s dialectic school. 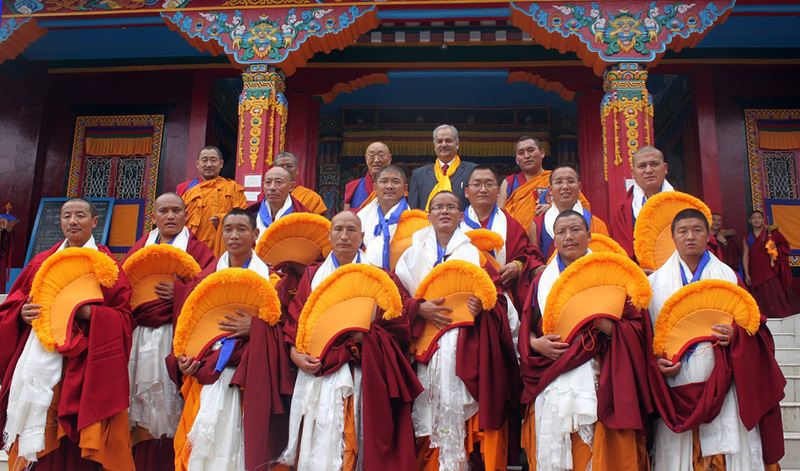 Having received their doctorate, they will now carry the title of ‘Geshe’. Posted on April 25, 2014, in Uncategorized, Yungdrung Bon Monasteries and tagged monastery, monks, sacred teachings, Yungdrung Bon monastery. Bookmark the permalink. Leave a comment.